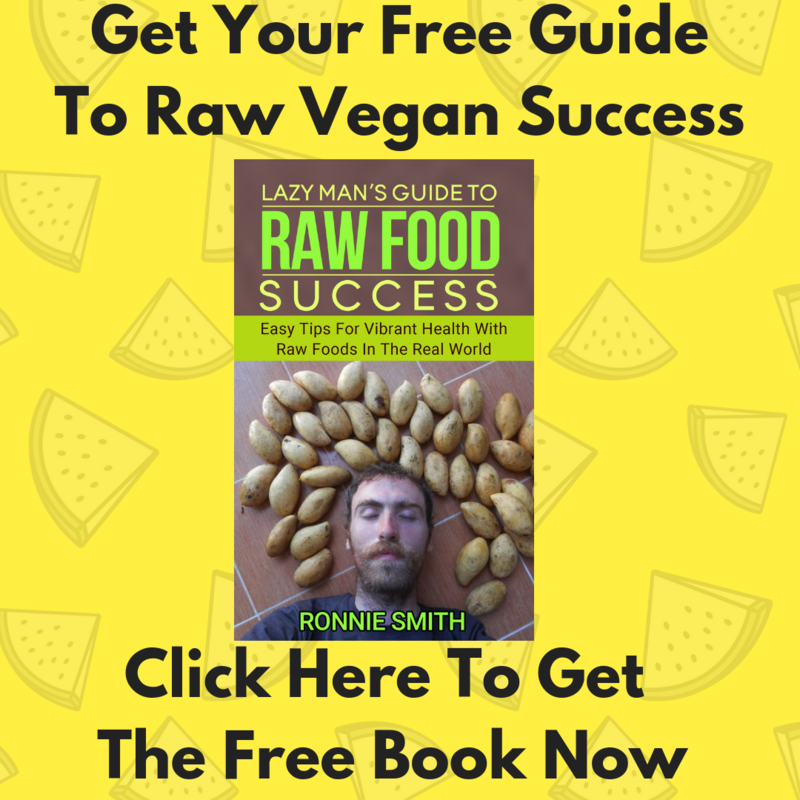 How Many Calories On A Raw Vegan Diet? The best person we could think of was Anne Osborne. 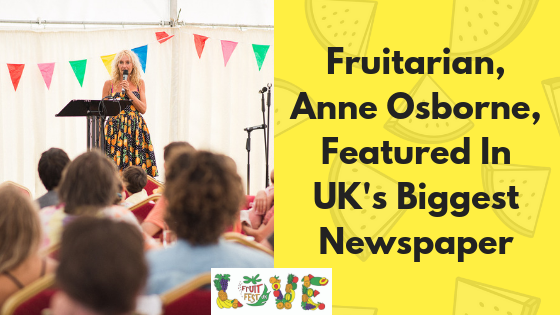 Anne has been a speaker at the UK Fruitfest for the last 5 years and works full time for the Woodstock Fruit Festival. 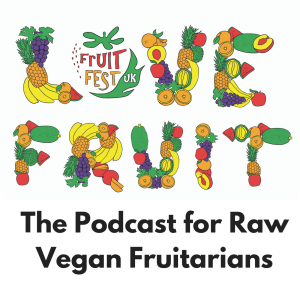 She authored the book “Fruitarianism: The Path to Paradise” and has spoken at many festivals and events around the world on her Fruitarian path. She has also brought up two children on a fruit diet who showed no signs of poor health as a result. 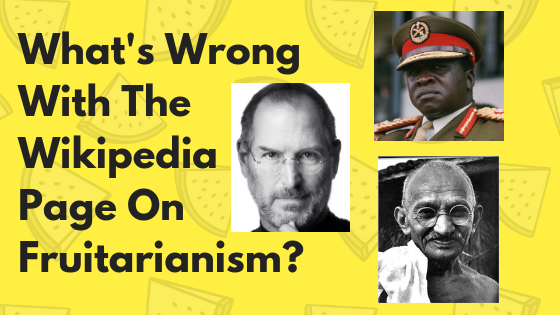 Many people who are researching Fruitarianism or Raw Veganism for the first time may end up reading Wikipedia. Wikipedia is an online dictionary which is made up by contributions mostly from volunteers. I am not sure exactly how this is policed, but obviously the system has some flaws. I have tried to edit the page on “Fruitarianism” in the past, but it seems to always have been edited back again. For this post, I will go through the page and point on what I see as being wrong with it. I will post the Wikipedia information in BOLD and my comments in ITALICS. Fruitarianism (/fruːˈtɛəriənɪzəm/) is a diet that consists entirely or primarily of fruits in the botanical sense, and possibly nuts and seeds, but without animal products. Fruitarianism is a subset of dietary veganism. Mostly so far this is accurate, though some would suggest that nuts are not a part of a fruitarian diet. Fruitarianism may be adopted for different reasons, including ethical, religious, environmental, cultural, economic, and health. There are several varieties of the diet. Some people with a diet consisting of 75% or more fruit consider themselves fruitarians. I haven’t met anyone who became a fruitarian for religious, cultural, environmental or economic reasons. It tends to be a choice made for ethical or health reasons primarily. I had no idea where the 75% figure came from but apparently it was a survey by Tom Billings from a very old website called “Living and Raw Foods”…this doesn’t seem to be the best source. Some fruitarians will eat only what falls (or would fall) naturally from a plant: that is, foods that can be harvested without killing or harming the plant. No fruitarian eats only fallen fruit. This is an unusual myth that seems to have been spread by the book “Fruit Hunters”. This practise would be impossible unless you had a very large personal orchard. The reference for this link is not a fruitarian website as far as I can see and I am not sure why this is connected. The point is probably true though. and some fruitarians feel that it is improper for humans to eat seeds as they contain future plants,[page needed] or nuts and seeds, or any foods besides juicy fruits. Others believe they should eat only plants that spread seeds when the plant is eaten. Others eat seeds and some cooked foods. There is no clear definition of Fruitarian that is completely agreed upon. Most use the word casually to mean that they love to eat a lot of fruit and they may believe it to be the best and healthiest diet. 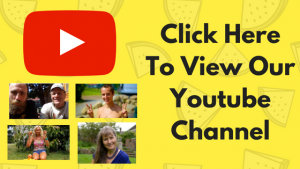 Others believe that Fruitarian should mean a completely raw diet based on fruit and others believe it should mean a strictly fruit diet with a particular philosophy towards not harming plants being connected to it. Until the community of Fruitarians grows larger it is unlikely to have a clear definition anytime soon. Some fruitarians use the botanical definitions of fruits and consume pulses, such as beans, peas, or other legumes. Other fruitarians’ diets include raw fruits, dried fruits, nuts, honey and olive oil, or fruits, nuts, beans and chocolate. These are all vague ideas taken from unreliable sources. Few people would classify beans and legumes as being fruits. Most fruitarians are vegan and would avoid honey. Some fruitarians wish, like Jains, to avoid killing anything, including plants, and refer to ahimsa fruitarianism. For some fruitarians, the motivation comes from a fixation on a utopian past, their hope being to return to a past that pre-dates an agrarian society to when humans were simply gatherers. The first sentence I believe to be mostly true however there is no clear source for people talking about “ahimsa fruitarianism” and it is not something I have heard many people mention. The bit about the “utopian” past was written by a lady that attended the Woodstock Fruit Festival years ago then wrote a slightly negative article about it. I think there is some truth in what she is saying, though we are mostly looking towards a better future. Once again, this is showing that sources are not coming from experts or from research but the opinion of a journalist. Another common motivation is the desire to eliminate perceived toxicity from within the body. For others, the appeal of a fruitarian diet comes from the challenge that the restrictive nature of this diet provides. Once again this comes from THIS ARTICLE. Eliminating toxicity is definitely a desire among many fruitarians. Some also may like the challenge but it is very unlikely that they perceive it as restrictive in any way. According to nutritionists, adults must be careful not to follow a fruit-only diet for too long. 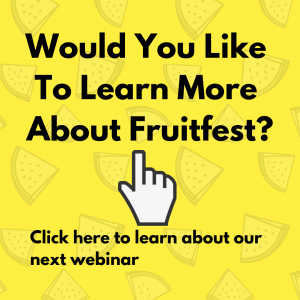 A fruitarian diet is wholly unsuitable for children (including teens), and several children have died due to having fruitarian diets imposed on them. Therefore, it would not be at all unusual for a baby to be on a diet mostly consisting of breast milk and fruit up to 9 months old. The other foods in this example (yams etc) are not providing nutrition not already found in fruit. It seems like the doctors warned that the mother’s breast milk was deficient. Why was this the case? Was it because of the mother’s fruitarian diet? What exactly was it deficient in? We don’t know exactly, but I would suspect that the mother was perhaps not creating enough breast milk to fully satisfy the child. Later the article suggests the child had a vitamin D deficiency, however it is not clear when this was determined or who by. Later on the article quotes nutritionists saying that a fruitarian diet is unsuitable for a young child. Certainly for a child this young, they should be on breast milk almost entirely, so a fruitarian diet would not be recommended. But this one unclear scenario should not be used to discredit a fruitarian diet as we don’t know exactly what the parents did wrong. The statement that several children have died after having fruitarian diets imposed on them is not backed up by a source. The other source is a Columbia University website called Ask Alice that provides no sources for it’s assertions. Fruitarianism is even more restrictive than veganism or raw veganism. Maintaining this diet over a long period can result in dangerous deficiencies, a risk that many fruitarians try to ward off through nutritional testing and vitamin injections. The Health Promotion Program at Columbia University reports that a fruitarian diet can cause deficiencies in calcium, protein, iron, zinc, vitamin D, most B vitamins (especially B12), and essential fatty acids. These assertions are not based on studies of people on long term fruitarian diets and this is one of the weakest parts of the whole article. This comes from the opinion of a Columbia University website but does not prove any of it’s statements with reference to any science. Personally, I have yet to see major deficiency problems exist among fruitarians and this is mostly scare mongering. Until a proper study is done we can not determine whether these opinions are correct. In reality, the best way for us to determine if this would likely be the case in humans would be to study other animals that have the same digestive and anantomical design as us. We see these animals, such as Bonobos, thrive on a diet of of mostly fruit. This would suggest that we would be perfectly capable of doing this as humans. Although fruits provide a source of carbohydrates, they have very little protein, and because protein cannot be stored in the body as fat and carbohydrates can, fruitarians need to be careful that they consume enough protein each day. When the body does not take in enough protein, it misses out on amino acids, which are essential to making body proteins which support the growth and maintenance of body tissues. Very poor source for this. An article about Steve Jobs in which a nutritionist has been asked for an opinion. Our requirement for protein is very low and similar to that of other apes that subsist almost entirely on fruit. The ratio of protein in fruit is similar to that in mother’s milk. Eating enough calories each day will ensure enough protein. Consuming high levels of fruit also poses a risk to those who are diabetic or pre-diabetic, due to the negative effect that the large amounts of sugar in fruits has on blood sugar levels. A Fruitarian (raw vegan) I know that is a diabetic is Robby Barbaro from masteringdiabetes.com. He is helping people to reverse diabetes through eating fruit. By the way, he has Type 1 Diabetes which developed for him in childhood. A lot of information out there is telling diabetics to be careful with fruit. In reality people should be moving away from the foods which cause diabetes, the high fat animal products that people are consuming to excess in the standard diet. These high levels of sugar means that fruitarians are at high risk for tooth decay. Many fruit eaters have experienced tooth decay but many have not. It is unclear as to whether the fruit is the problem or a lack of personal hygiene sometimes displayed among fruitarians. Many will give up using toothpaste or brushing teeth for a while and damage can set in without them realising leading to future problems. Dried fruit can certainly be a big part of this problem as it is more likely to stick to the teeth which is a major contributor to tooth decay. Modern dentistry allows us to live a comfortable life even if our teeth have become damaged. Another concern that fruitarianism presents is that because fruit is easily digested, the body burns through meals quickly, and is hungry again soon after eating. A side effect of the digestibility is that the body will defecate more frequently. It is unusual to make an argument that the problem with fruit is that it is easy to digest. This is actually a benefit. Why would we want to eat something hard to digest? Many people suffering from constipation would see defecating more frequently as a benefit, not something to be feared. Once again this is a very poor source. The Guardian article written by a newcomer to the diet who did not know how to eat enough fruit to satisfy her self. Most people feel very satisfied on a fruit diet. Additionally, the Health Promotion Program at Columbia reports that food restrictions in general may lead to hunger, cravings, food obsessions, social disruptions, and social isolation. The severe dietary restrictions inherent in a fruitarian regime also carries the serious risk of triggering orthorexia nervosa. Once again another poor source. A Fruitarian diet is not based around restriction but embracing the abundance of fruit. As for eating disorders, these seem to be triggered more by the standard diet than any other diet. The source here is not making any reference to any particular study on this. Giving up addictive foods will lead to cravings, but that is not a bad thing. Food obsessions are displayed throughout all dietary types. Vitamin B12, a bacterial product, cannot be obtained from fruits. According to the U.S. National Institutes of Health “natural food sources of vitamin B12 are limited to foods that come from animals.” Like raw vegans who do not consume B12-fortified foods (certain plant milks and breakfast cereals, for example), fruitarians may need to include a B12 supplement in their diet or risk vitamin B12 deficiency. Vitamin B12 deficiency exists across all diets and also exists in farm animals. People who become b12 deficient are not recommended to eat more animal products but to supplement with b12. In general, vegans are recommended to take b12 as their levels are lower on average that the majority of the population. However many fruitarians do not supplement with b12 or any vitamin. In children, growth and development may be at risk. Some nutritionists state that children should not follow a fruitarian diet. Nutritional problems include severe protein–energy malnutrition, anemia and deficiencies including proteins, iron, calcium, essential fatty acids, raw fibre and a wide range of vitamins and minerals. The source for this is a book that I don’t have access to reading right now. It is hard to know where the evidence for any of these assertions comes from. One thing we know is that when people say “protein deficiency” it is not clear what they mean as this is not a known medical condition. Usually protein deficiency actually means a deficiency in calories, leading the body to consume it’s own protein to survive. Studies on fruitarian children suffering from any of these deficiencies do not exist to my knowledge. Essie Honiball adhered to a fruitarian diet for some time. Actor Ashton Kutcher was hospitalized and said that his pancreas levels went “all out of whack” after following a fruitarian diet in preparation for his role playing Apple Inc. CEO and onetime fruitarian Steve Jobs, in the film Jobs. Jobs died of pancreatic cancer. August Englerhardt actually tried to live on Coconuts. He is not a well known name in the Fruitarian world. Arnold Ehret is for many seen as a pioneer of the fruitarian movement. Raymond Bernard and Hereward Carrington wrote about the diet but are once again not particularly well known in Fruitarian circles. Essie Honiball is a fairly well known pioneer of Fruitarianism. Ashton Kutcher went on a short term fruitarian diet in preparation for this film. It seems like he did not seek any advice on how to perform this. This is unusual as his wife at the time, Demi Moore, is well known to have experimented with a high raw vegan diet and to have worked with Dr Doug Graham, one of the experts on a fruit based raw vegan diet. There is absolutely no connection between eating fruit and pancreatic cancer. Ross Horne and Viktoras Kulvinskas appeared to only describe the fruitarian diet. Johnny Lovewisdom experimented with different diets, including juicy fruitarianism, liquidarianism (juices only), vitarianism (fruit, vegetables, raw dairy) and breatharianism. An unusual set of writers to reference, none of which particularly lived on a fruitarian diet long term. Author Morris Krok, who earlier in his life lived “only on fruits”, allegedly advised against a diet of “only fruit”, although it was subsequently reported that Krok’s diet consisted of “just fruit”, with dietary practices of fruitarians as varied as definitions of the term “fruitarianism”. Diet author Joe Alexander lived for 56 days on juicy fruits. It is unclear as to what Morris Krok ate and whether he was raw vegan or fruitarian for very long. Many people like Joe Alexander have done experiments with just eating juicy fruits for similar periods of time. This section is missing many well known adherents within the movement such as Anne Osborne. Others that could be said to be in the ball park of fruitarian could be Michael Arnstein, Ted Carr, Dr Doug Graham, Kristina Carillo Bucaram, Freelea The Banana Girl and others not mentioned here despite being much better known to the Fruitarian community worldwide. This list is absolutely ridiculous. Idi Amin, the Ugandan military dictator, became a fruitarian while exiled in Saudi Arabia. Seriously, this is the first historical figure mentioned? Violent, blood thirsty dictator Idi Amin! Mohandas Karamchand Gandhi, better known as Indian political and spiritual leader Mahatma Gandhi, sustained a fruitarian diet for 5 years. He apparently discontinued the diet and went back to vegetarianismdue to pleurisy, a pre-existing condition, after pressure from Dr. Jivraj Mehta. Gandhi had read the works of Herbert Shelton and experimented with fasting also. Doctors often advocate against certain diets despite the fact that they often have no qualification or education in nutrition. Ben Klassen, white supremacist, founder of the Creativity Movement, and author of The White Man’s Bible, advocated a fruitarian diet to include fruits, vegetables, and nuts. I know very little about this man and have NEVER heard him mentioned in any books on Fruitarianism or by anyone in the fruitarian movement. This seems to be a very obscure reference and almost seems like the author of the article wants to connect the fruitarian diet with crazy people. Steve Jobs, who named his company “Apple” because he was experimenting with a fruitarian diet. Probably one of the best known. Did not follow a fruitarian diet long term but was a long term vegan. In his last days doctors tried to convince him to consume meat despite the fact that this practise has no scientific connection with helping to fight cancer. Other historical figures missed out could be Adam and Eve (more allegorical but worth mentioning). Some claim Pythagoras was a raw vegan and some also say St Francis Of Assisi was also raw vegan. What we can find is evidence suggesting that our ancestors were fruitarian due to studies on the teeth of discovered fossils and skeletons. This article clearly needs to be changed. The sources are weak and it is written in such a way as to show the fruitarian diet in a bad light. Well known adherents of the diet are missed out completely along with scientific information pointing to positive aspects of the fruitarian diet. This clip comes from a talk given by Anne Osborne on foraging. Anne has been a fruitarian for over 25 years and started off on this lifestyle living in the UK. She has now moved to Australia and has raised two children on a fruit diet. She works for the Woodstock Fruit Festival helping with many different aspects of that event. Her book “Fruitarianism: A Path To Paradise” is a classic which has went out of print. It can be found on Amazon for a very high price right now. 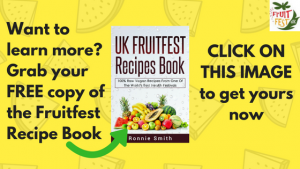 You can learn more from Anne at this years UK Fruitfest at which she will be teaching more about thriving on this lifestyle.